Featuring common tools probably in a monk’s personal possessions at the time of their death/incarcerations by the Chinese government, hence the reason so many are currently for sale on Ebay so cheaply. But then many might have been dug up from graves or taken from the stockpiles of Tibetan monasteries when they were robbed and destroyed as well. Just as the Nazis in Germany before them, the Chinese have accumulated vast stockpiles of religious items from the victims they rob and persecute. Except no one is stopping them from selling them to the public, and the US government is even subsidizing the robbery of these minorities in China with free shipping. Torah scrolls found stockpiled at Frankfurt, Germany 1945. 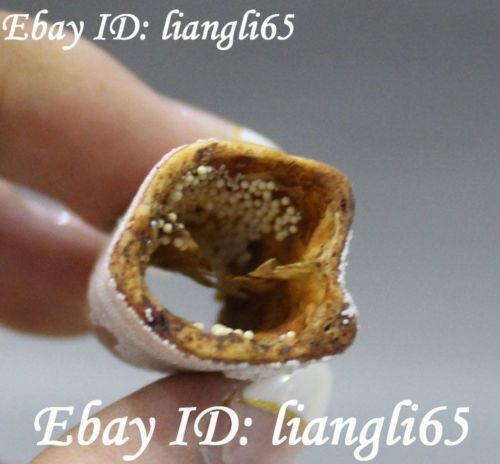 Though this website is an attempt at demonstrating what has been lost, the sales by the Chinese of other people’s goods en masse on Ebay has been going on since at least 2013, and the figures given here are only a brief snapshot of this history of looting, which need to be extrapolated to estimate the total costs. It is impossible for me to even follow the sales of one of these dealers completely, let alone all of them, so keep in mind that the auctions that are given are only a fraction of what is being sold on Ebay alone, let alone other outlets as well. Another Buy It Now page, same photo, different seller ($15.89- 3 available, 3 sold 4/2016; 10 available, 9 sold 09/2016; price reduced to $15.09- 3 available, 11 sold 01/2017) by china_aoyun2008! 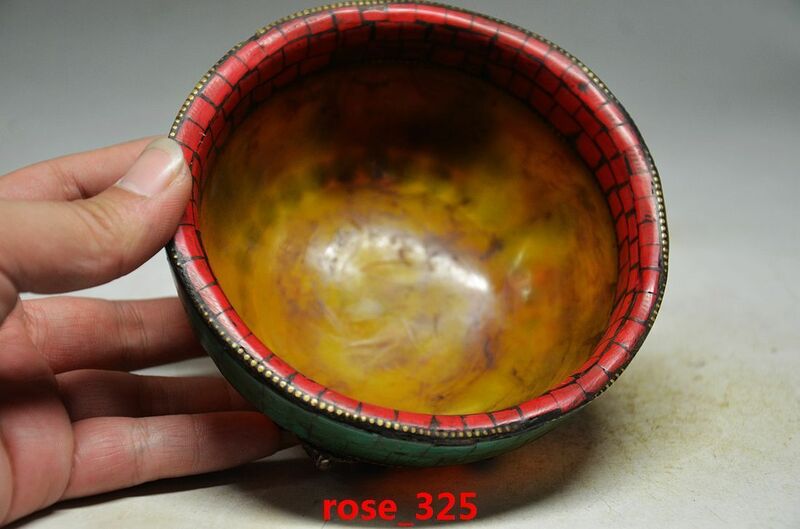 Often times it is unclear whether the sellers just don’t know English or if they are purposefully being unclear and using different words so items wouldn’t come up in a search for them; or maybe they just copy titles and descriptions as well as the photographs from each other. Like “bell” for instance. 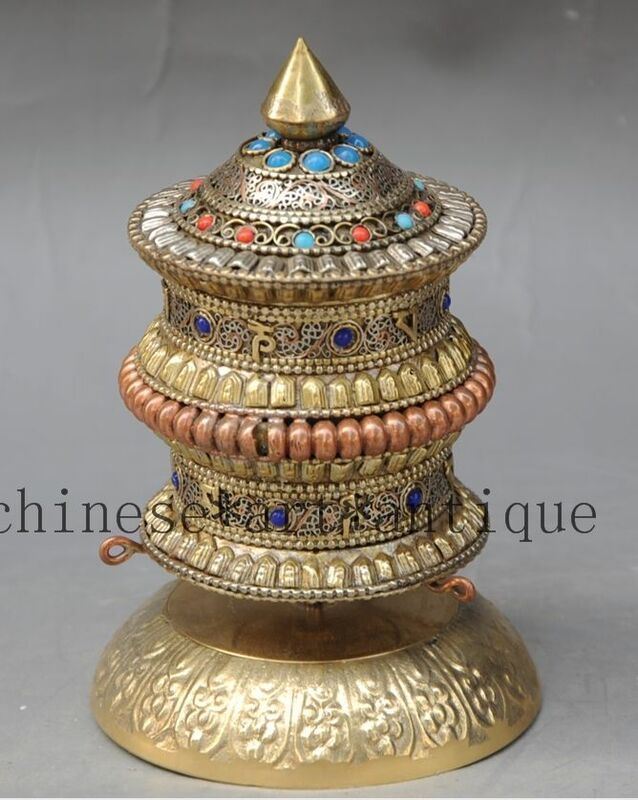 You wouldn’t think it would be that difficult to place “bell” in the title for the above objects, yet if you do a search in Antiques, you are likely to come up with very little; however if you search for “clock” you might find this bell in your search since it has been labeled “China’s Tibet silver buddhist sculpture of Buddha exorcism clock multiplier MK“. Chances are all of these bells have been listed by the exact same person (or group of people) since the titles are all the same who are using different aliases, like so many other Chinese sellers also do. Vajra is a Sanskrit word meaning both thunderbolt and diamond. In Tibetan this is called a dorje. The tool itself is symbolic of this spiritual power, and if made of metal, the most prized are forged from meteorites themselves. 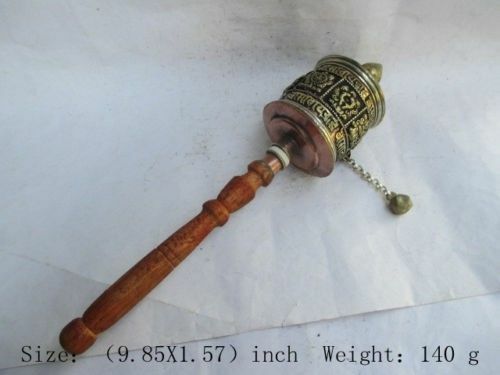 By far the most common type of dorje being sold by the Chinese is the model above. 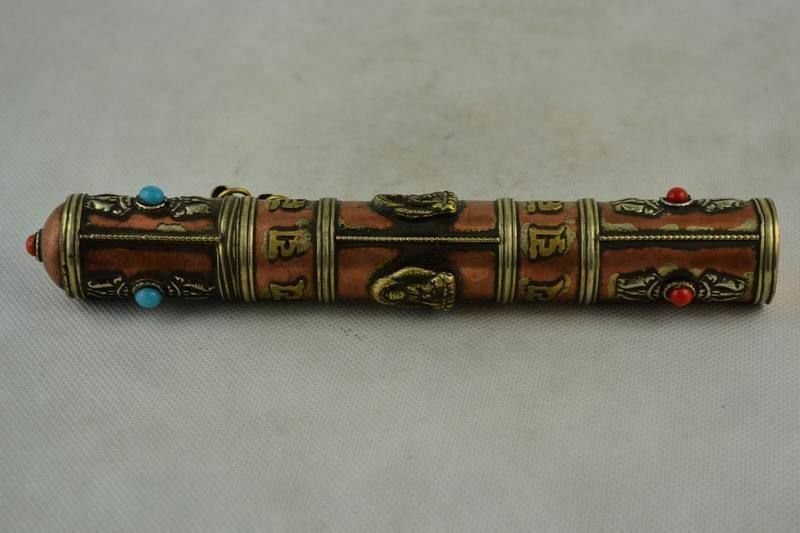 Sure must have been a lot of monk’s who lost everything they had wherever these were popular at, and the turquoise inlay indicates it is Tibetan, not Chinese. For a long time on Ebay, all I ever saw were dorjes like the first version and plain ones in the lower end auctions, but then in the last month and a half this model appeared in various shops. But before they appeared in multiple shops all at once, there wasn’t one single one to be found on Ebay. 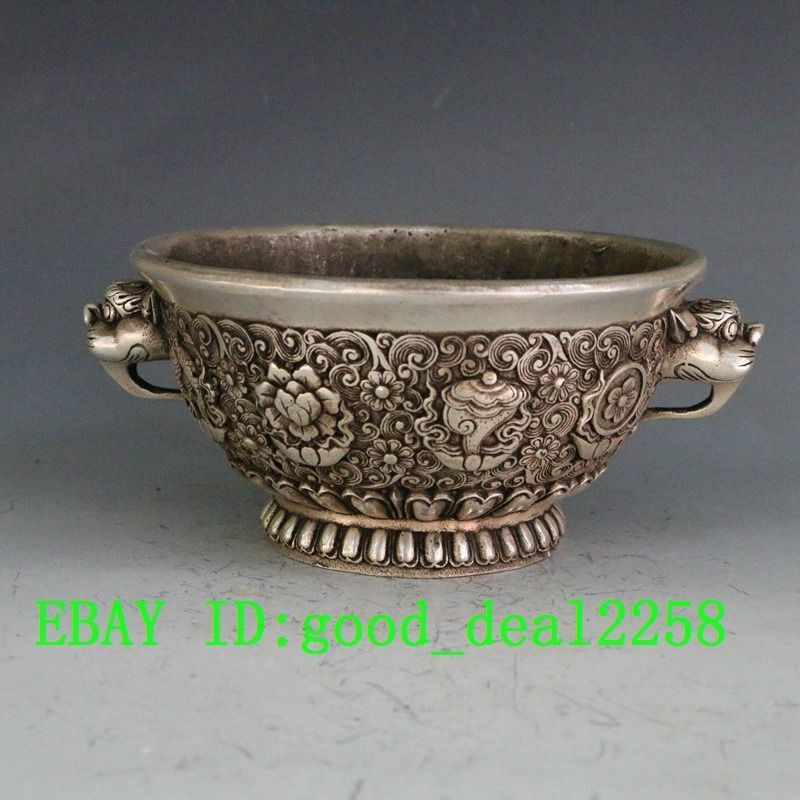 Very strange because they are obviously older Tibetan items, and if legitimate antique dealers, at least one of them should have had this already for sale out of their stock. 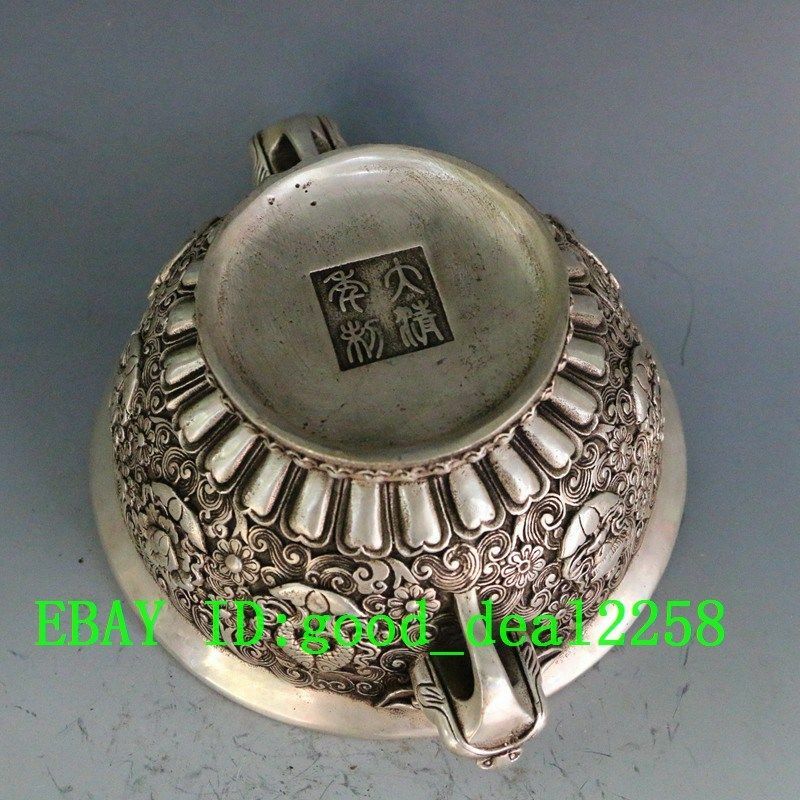 I believe that the Chinese communists have sorted everything they confiscated into boxes, and the box(es) containing this particular model hadn’t been distributed to the Ebay dealers by the Communist party yet. Another model of dorje that showed up at the same time the model above showed up, before that though there weren’t any. 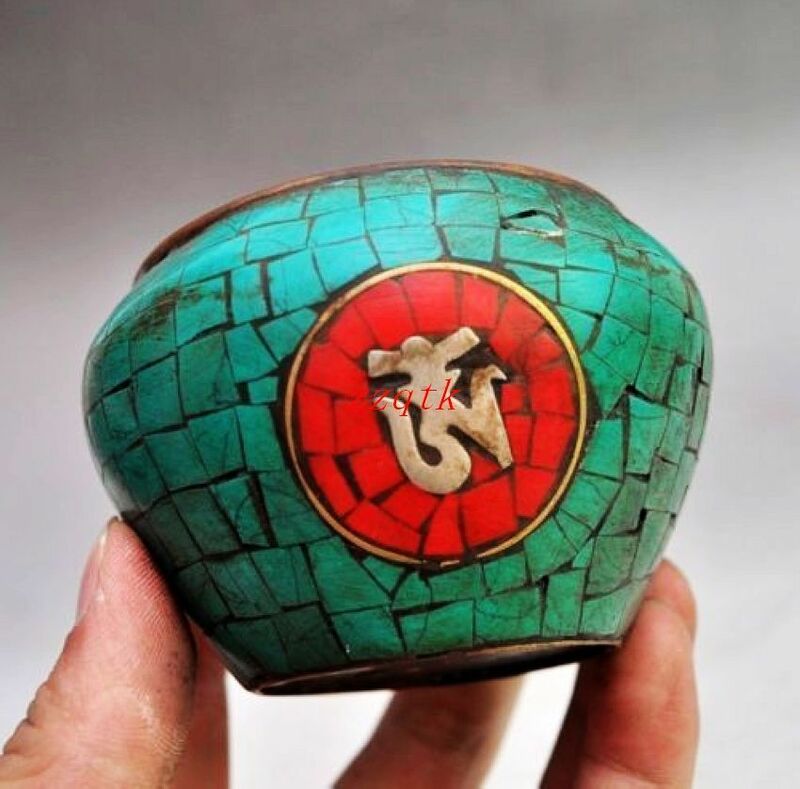 The turquoise is slightly different- newer than turquoise inlay dorje that is first pictured, and may in fact be colored glass. There are a multitude of designs for dorjes- two “crowns” is the most common- but there are double dorjes with four “crowns”, and ones like the one above and below with an elongate handle. This may have originally been a functional weapon before it was downsized and made purely symbolic. Besides being made of metal, these symbolic tools were often carved from rock. The example above is of jade. 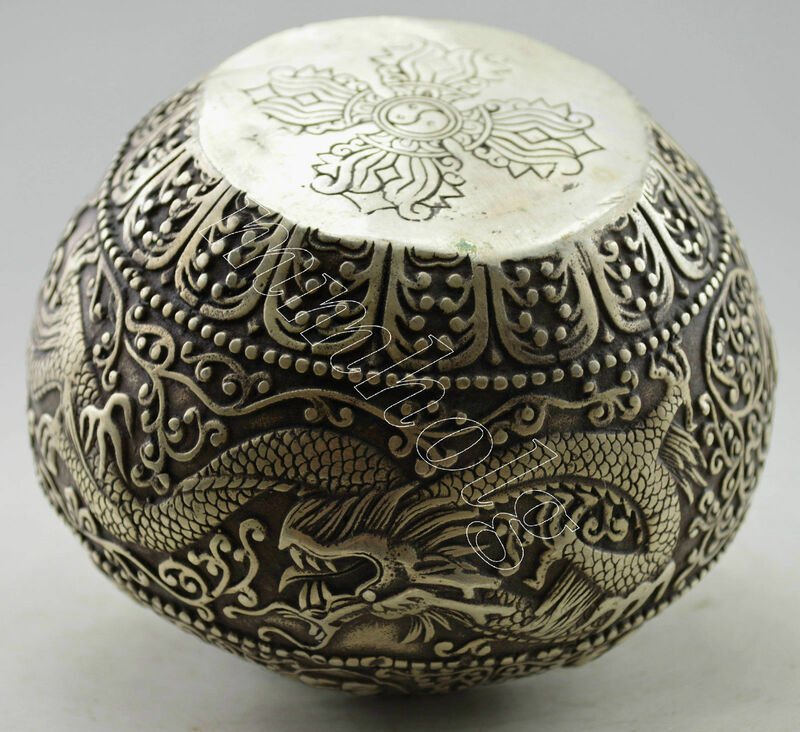 The hollow portions at the ends are particularly difficult to carve, and in many examples the carver was so skillful, they also carved balls caged by the dorje ends. Another example above of something that is obvious very worn that is being sold as brand new. The whitish material around the circles could be dirt, but it could also have been pulled from a dead person in a grave, and I’ve received items like this I suspected had skin or body fat in cracks, especially when I looked at them closely under magnification. 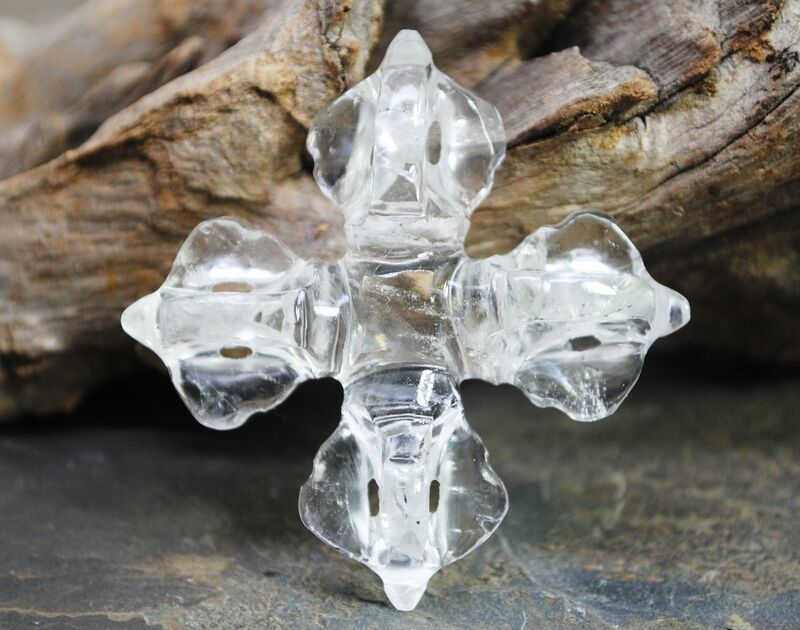 Crystal, long thought of as sacred, is carved to form these tools too. Quartz is very hard stone compared to jade, second to obsidian and diamonds and comparable to agate, so to carve these is very difficult to begin with and took some time. The amount of wear of these is testament to the time that they’ve been treasured by someone. To be robbed and have it sold online to unsuspecting buyers after generations as “healing”- is an even greater insult to these disenfranchised people who’ve lost everything. Dorje’s made of lapis are also popular with Tibetans, and are being sold for a fraction of their value along side so many other used and sacred objects- all being sold as brand new typically. I don’t doubt that Tibetans are poor and perhaps a few of them wanted to sell their goods to get by- but when it is in this volume and being consistently lied about- particularly when it comes to religious items, there is something really wrong. 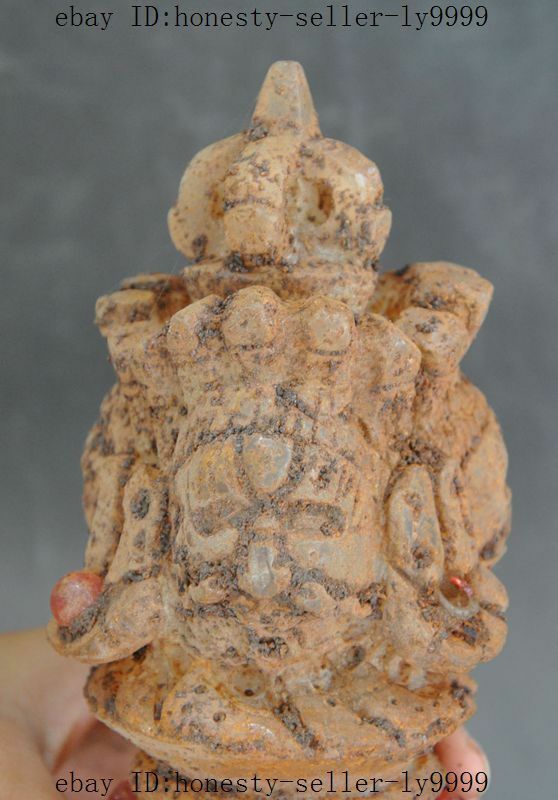 The odd thing is that many of these dorje’s carved out of pure rock ended up in Utah of all places, items so sacred and personal and often quite ancient, monks and Tibetans would have never sold them freely and low priced, and surely not in these great of numbers. The may have moved them there and to other US sellers to divert any questions about them and purposefully cover up the truth about their origins more. It would be interesting to find out if the person running the shop moved there purposefully just to sell these or have a Chinese presence in that part of the country, or if they are Americans were always interested in rocks and crystals, and China only has found a willing fence for it’s stolen goods. 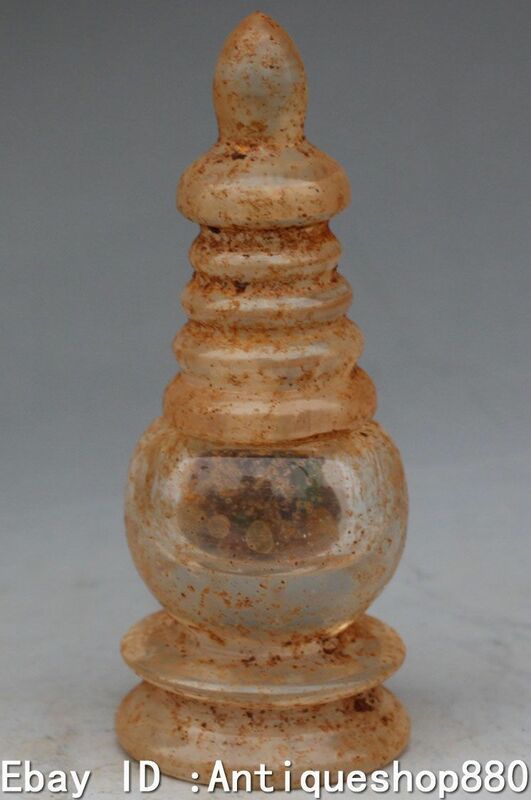 From the amount of dirt on the crystal dorje above, it is clear these have not been in private ownership nor displayed in a monetary recently, but taken directly from the ground and/or a stupa. From the great size of the religious objects they appear to have been taken from someone very important. Quartz is one of the hardest rocks to carve- a 7 out of 10 on the Mohs scale of mineral hardness- and would have been very expensive to begin with. 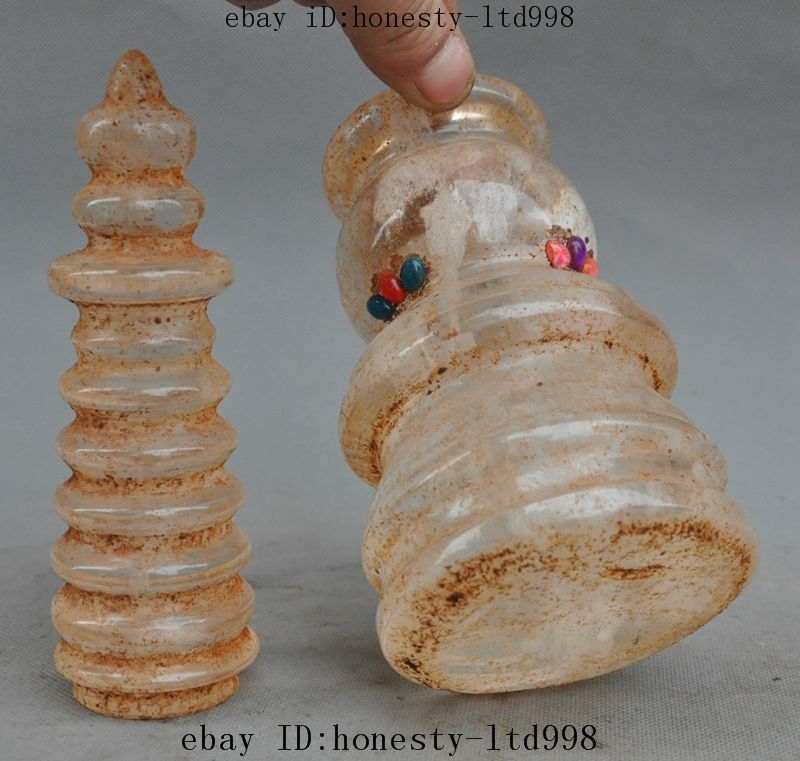 Because there are matching crystal phurbas (see photos below) as well as platters and other containers made of the same crystal embellished with cabochon stones, it is thought that entire tombs were cleared out systematically and sold by the Chinese. 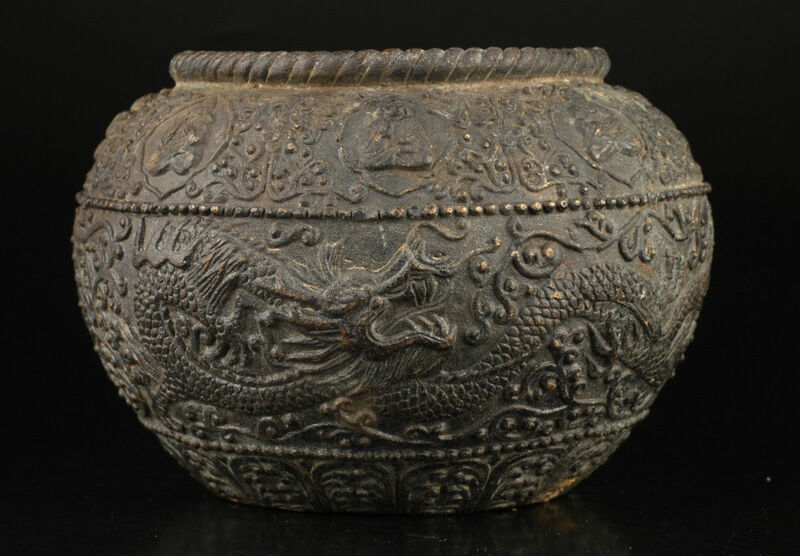 These probably date from the Tang Dynasty during which time many Buddhist monuments were created as well as many social contacts between peoples. This staff might have been held by the equivalent of Buddhist bishop, not just for lower ranking monks, and subsequently is more rare than typical phurbas and dorjes that your average monk possessed. 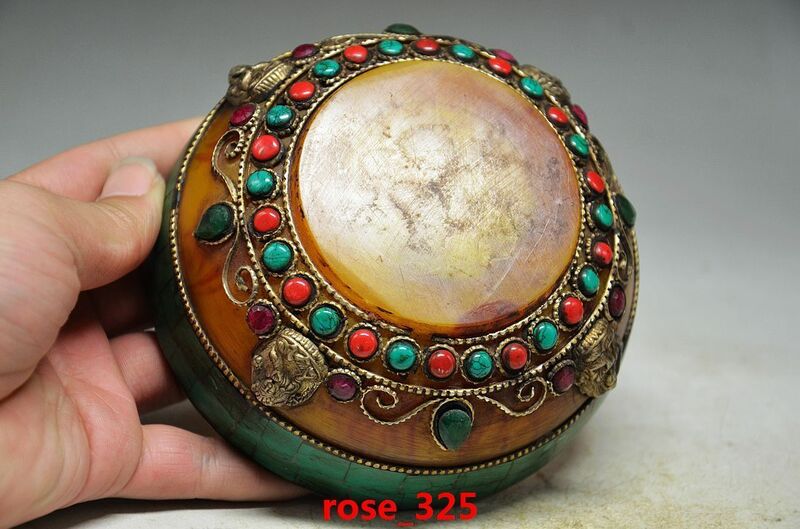 It is pretty obvious from the dirt still on these sacred and ancient religious items (that Tibetans still have similar likenesses of today) that they came directly from a stupa, cave or tomb, not from anyone’s personal collection. It is believed they may date all the way back to the Warring States period some 2,500 to 3,000 years ago, but perhaps earlier from the time of Songsten Gampo (1,500 years ago) as King before Buddhism- which he is credited with introducing- took over Tibet. A phurba from more modern times featuring an angel. Highly religious, the Tibetans have incorporated crosses and angels (and actually may have invented all that long, long ago and it has just come back to them- see the “crosses” of phurbas and double vajras above) into their carvings today. 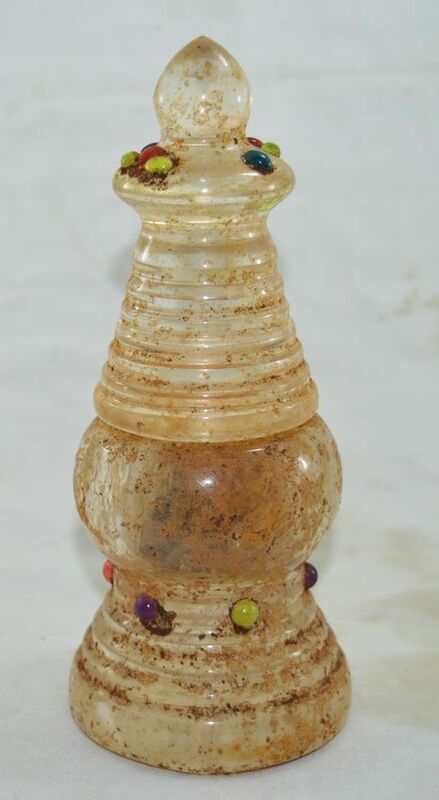 Though sold as brand new, the dirt on this magical crystal wand tells an entirely different story. 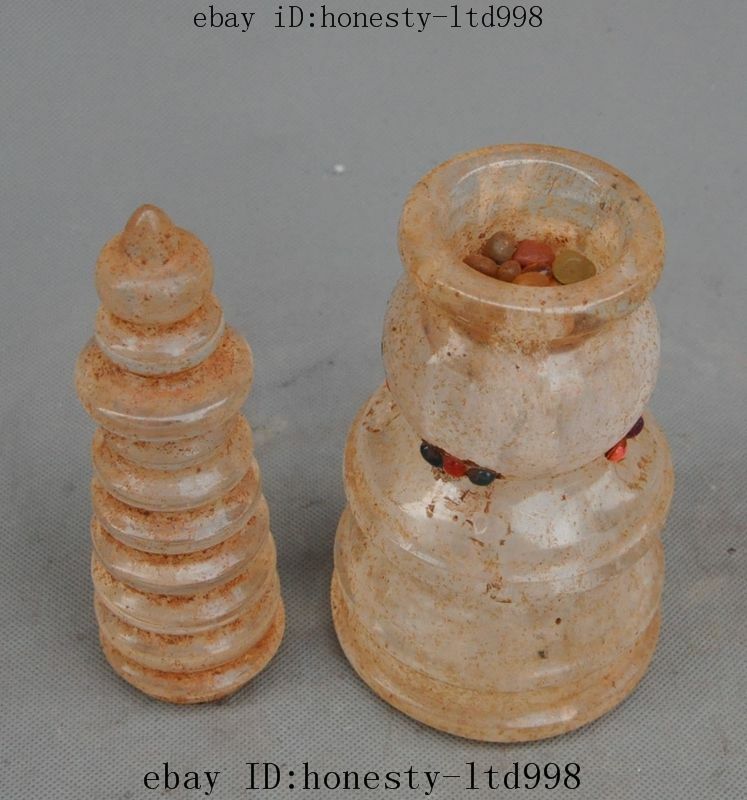 A much more ancient phurba which was probably pulled directly from an ancient Tibetan stupa is shown below, dirt still encrusted between the cracks. In addition to spiritual swords, there are also a multitude of axes that Buddhists use as ceremonial tools. 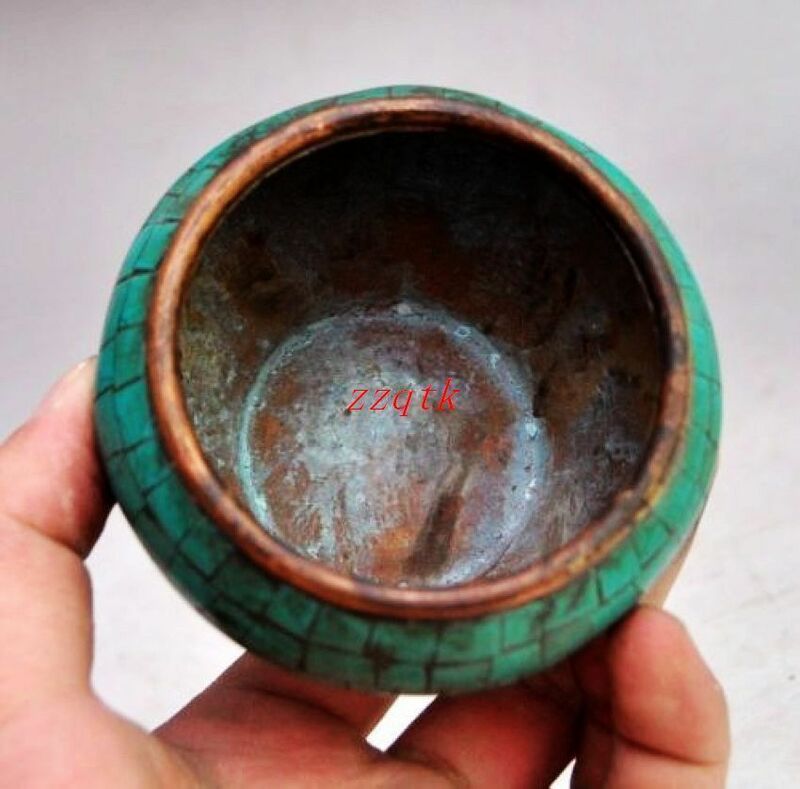 This is one of the most common models I see on Ebay with inlayed turquoise once again indicating it is from Tibet, not China, though it is only being sold by Chinese. Wikipedia, though useful, has only compounded my confusion about Tibetan deities- the figure on the axe could be any number of them from Mahakala to Yama to Palden Lhamo. Not sure. If anyone knows more about items or you think I’m really off on something, please let me know. Its called communism. Why would communists have so many sacred prayer wheels? None of these are fake shops in which scammers use others photos to get buyer’s money without sending goods as far as I know except maybe the first one which a newer shop, the only other instance in which shops might use others photographs of items, particularly antiques. Prayer wheel above is made from horn, probably yak, but possibly ox. 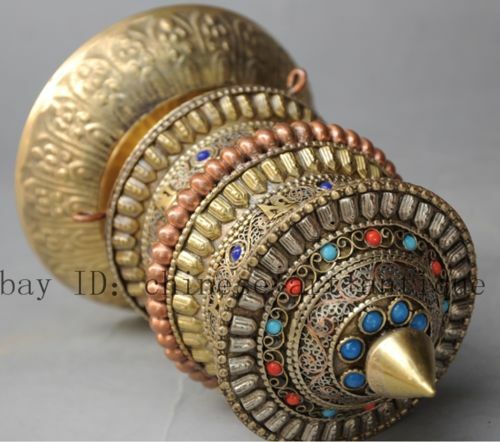 Being so far from the sea, shells are highly valued in Tibet as well as being thought of as special, sacred and magical. Conch shell is also one of the 8 auspicious Buddhist symbols. Most shells are made into functional horns that are played ceremonially, but even smaller ones are very revered, encrusted with pieces of turquoise and coral (or at least pieces of glass that look like that) as seen in the common example below. 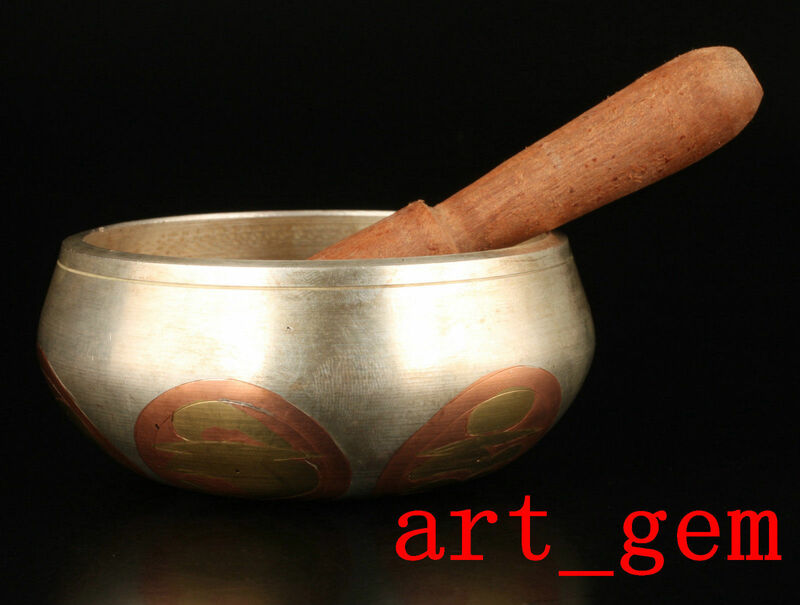 In Buddhism, the conch shell (Sanskrit: shankha; Tibetan: dung dkar) was the original horn since time immemorial, and may be among the first horns people ever played before making them themselves out of other materials. Ancient Indian epics also tell how each hero of mythical warfare carried a mighty white conch shell, which often bore a personal name. Conch shell horns are made from a species of white conch from the Indian Ocean called Turbinella pyrum. Traveling so far across the tallest mountains in the world, they become even more rare and valuable. Conch shell horns are used in Tibetan Buddhism to call together religious assemblies, as Hindus have also done for many millennia. 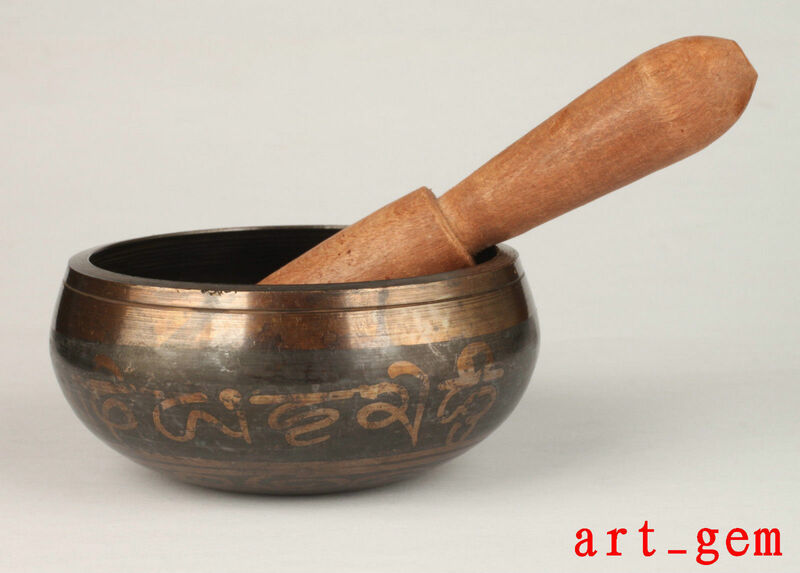 During the actual practice of rituals, it is used both as a musical instrument and as a container for holy water. Exactly where the horns below came from is unknown, there are so many of them they obviously came from some institution- religious and possibly political- perhaps a stash from the Portal Palace itself? Though there are many photographs of Tibetan monks playing various horns on the internet, there is not one of someone playing one like this. 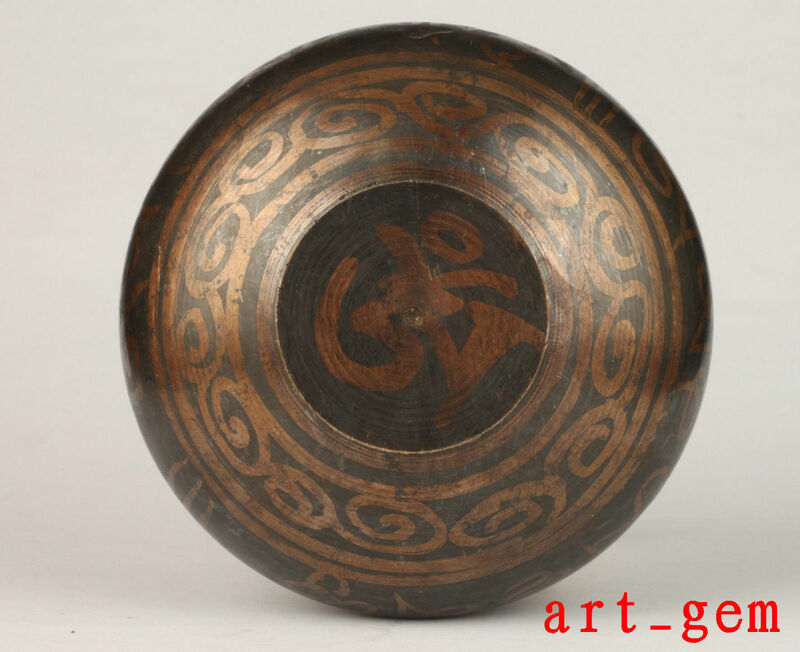 At 20 1/2″ long (52.6 cm), it would have been a higher pitched horn whose sound doesn’t travel as far as the much more common and larger horns many monks are pictured playing. This smelted quartz is very unique and an ancient technique using metal to color pure melted rock. The colors range from an almost clear to yellow, orange, pink and even a royal blue color. 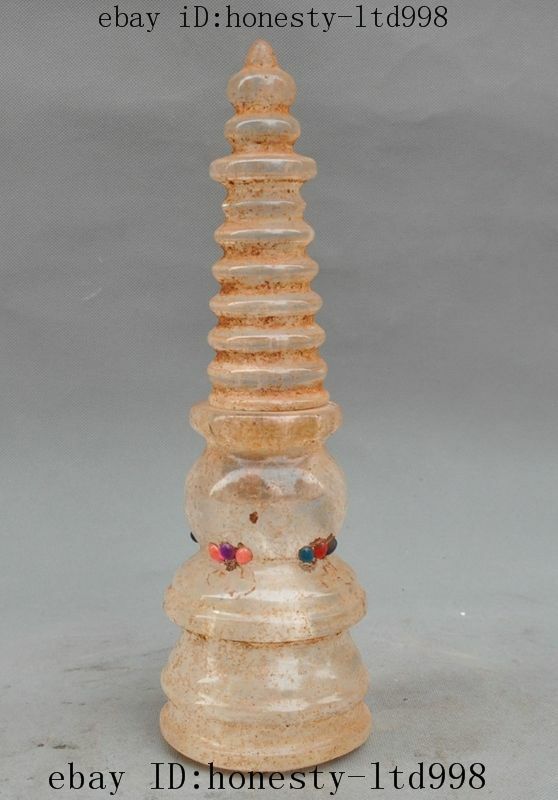 This pink coloring dates back to the Hongshan era and techniques probably changed very little for 1,000’s of years, or at least until the communists decided to confiscate everyone’s sacred items. 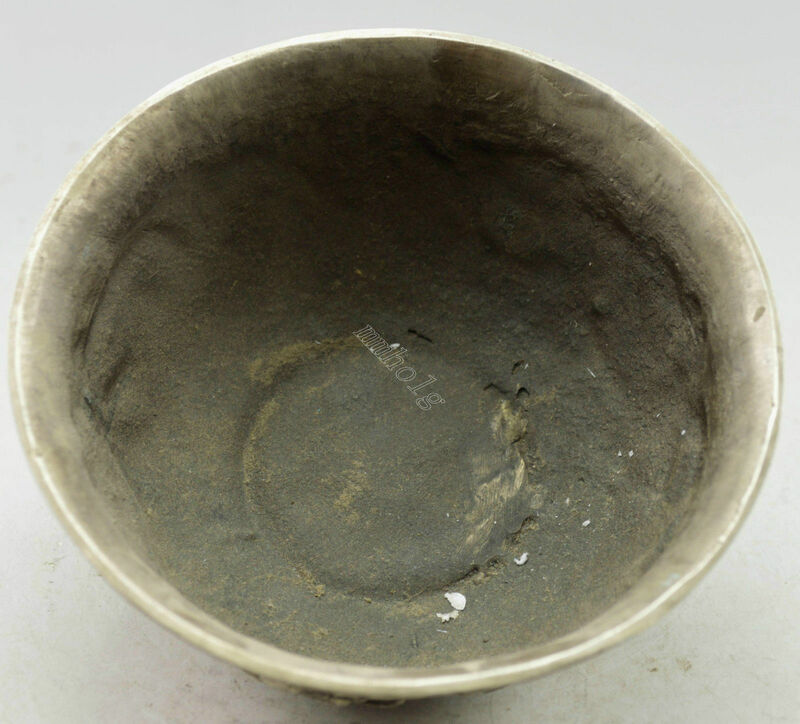 The bowl above is relatively newer and has very few scratches or opaqueness/flaws of the melted crystal itself which are more frequent with age, but exactly what this was used for- for drinking sacred libations or holding other precious items like a crystal ball (which are also common) is unclear. 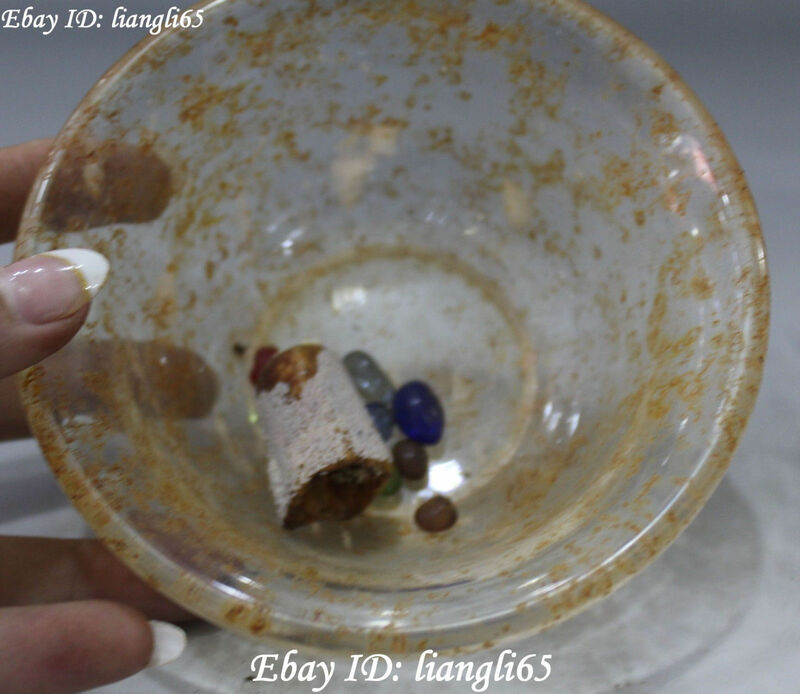 The crystal bowl below is below is an old one that may date from the Tang Dynasty (1000 to 1400 years ago) that may have been taken from a monk’s funeral monument (stupa) or someone else very important. Quartz is a very hard stone to carve- much harder than jade and therefore took more work to carve and would have been quite expensive and reserved for the most important burials. 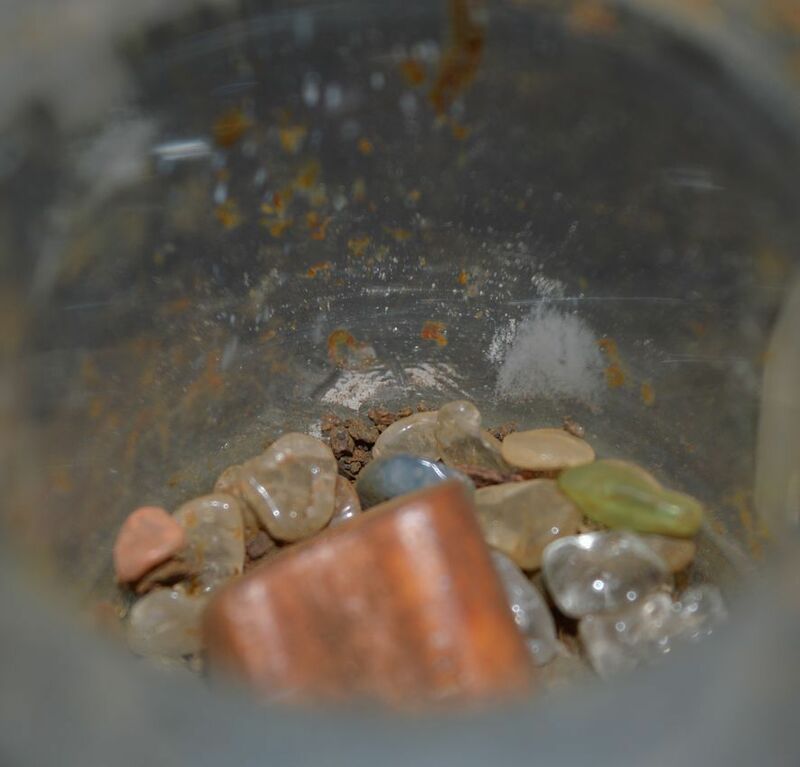 Also see the crystal phurba and dorje with similar amounts of dirt on them and stones on this page which were probably taken from the same tomb, or group of tombs. 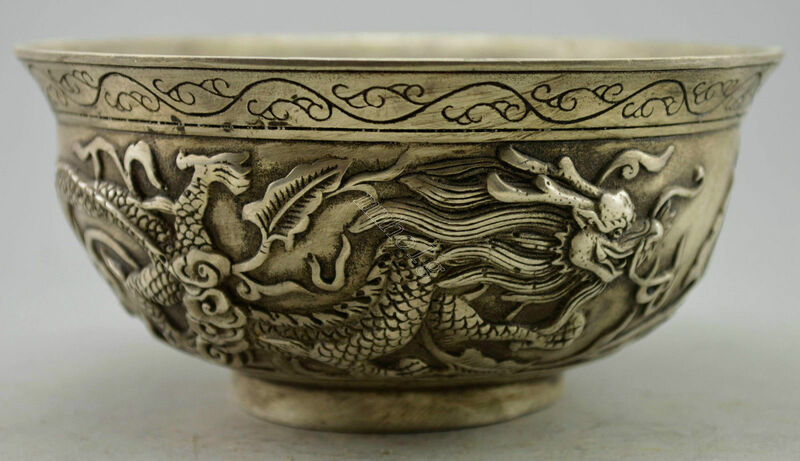 Yet another indication that these crystal bowls are sacred and very important to Tibetans is this one carved with the 8 auspicious Buddhist symbols- the ashtamangala. 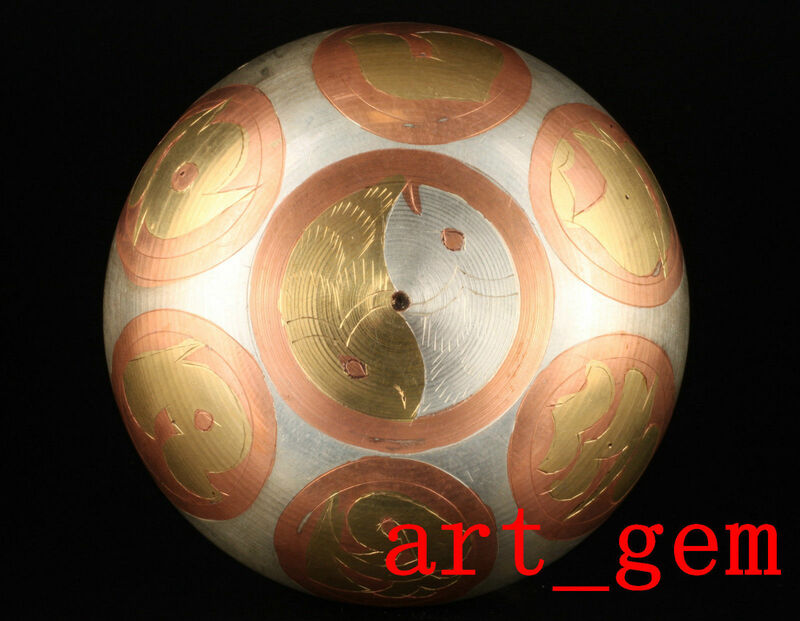 The carved symbols are painted in gold. 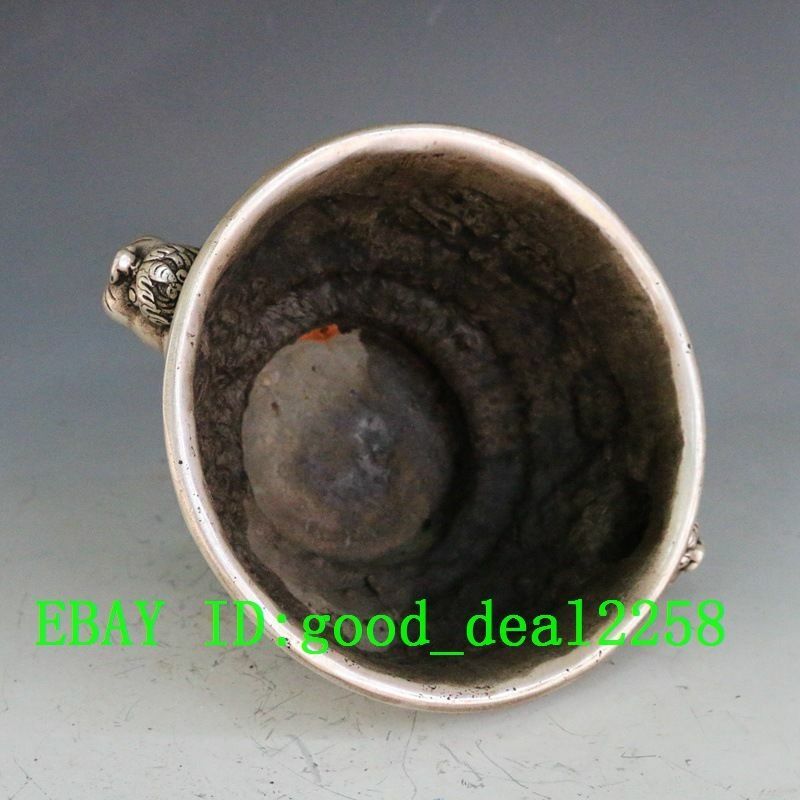 Below is a crystal bowl that is unadorned, but inside the seller has provided a nice closeup of what appears to be a human bone. Sometimes when high monks are cremated, remnants are found afterward that are thought to be very sacred- because they defy the laws of science. 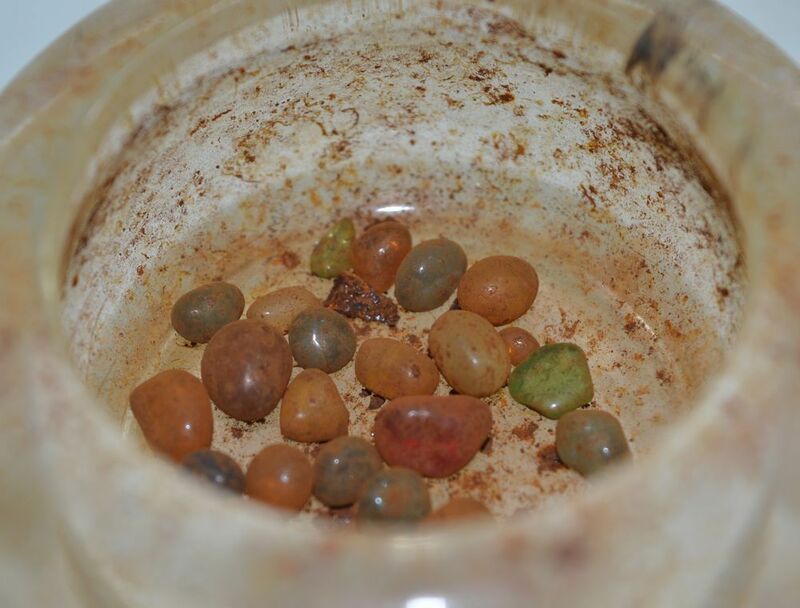 These are probably some of these magical relics which were preserved in stupas that have been robbed. 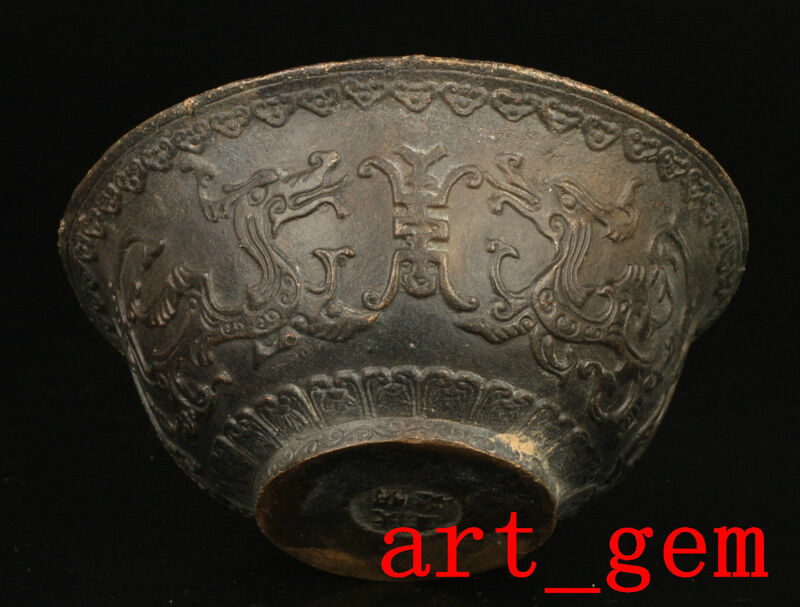 All of these bowls may have at one point contained similar remains, but have lost them when looted. 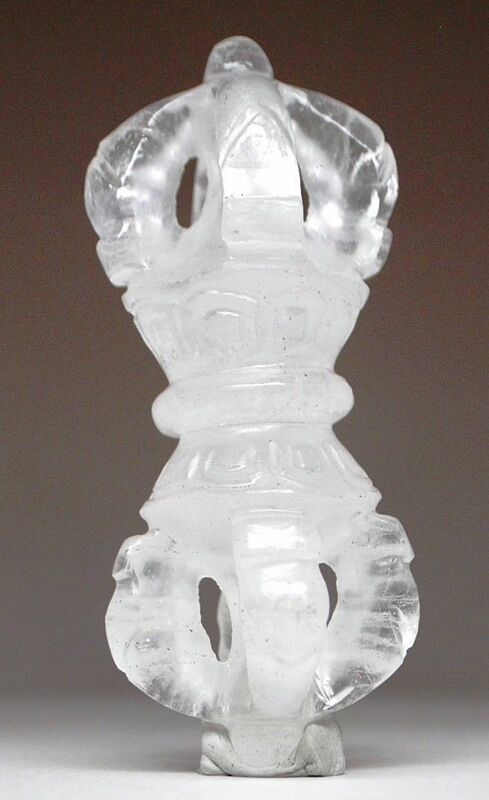 If you took someone else’s holy relic from a tomb that was at least 300 years old and carved from pure quartz crystal that had traversed the Himalayas themselves, what kind of price tag might you put on it? 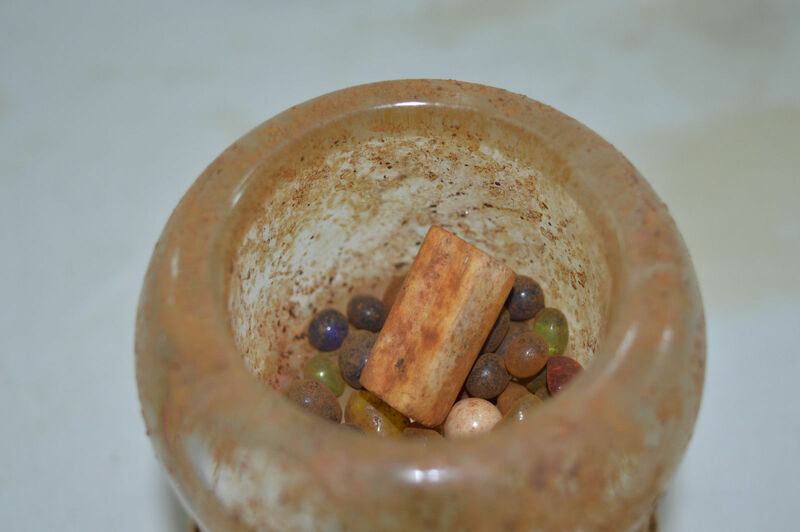 How about a high monks bones which miraculously survived incineration and piece of them which turned into glass and agate? Would they be undervalued so they sold quicker, or just to put down the culture that you robbed? 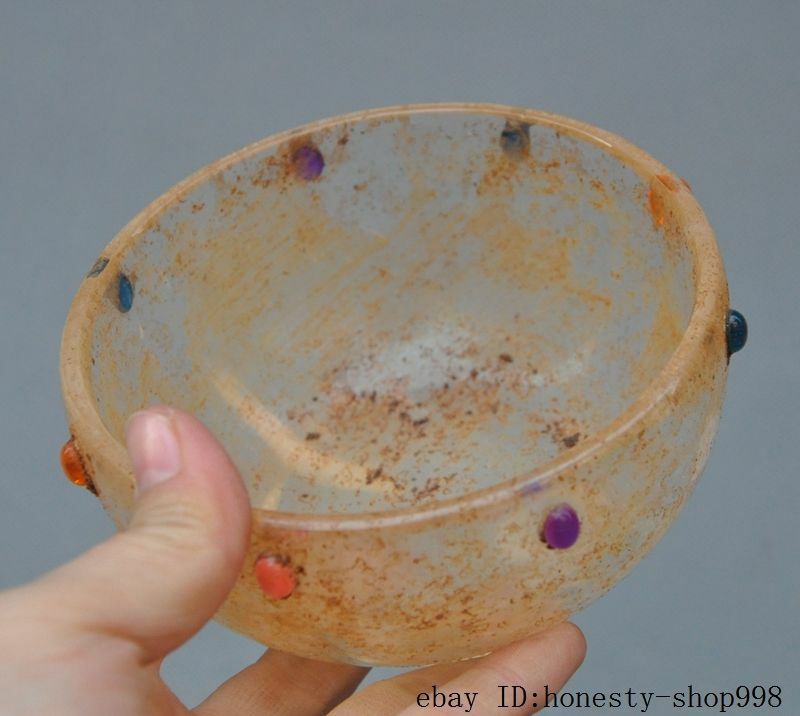 Though the bowl below is sold frequently as an “alms bowl” it is the exact same size and shape as the crystal bowls above. 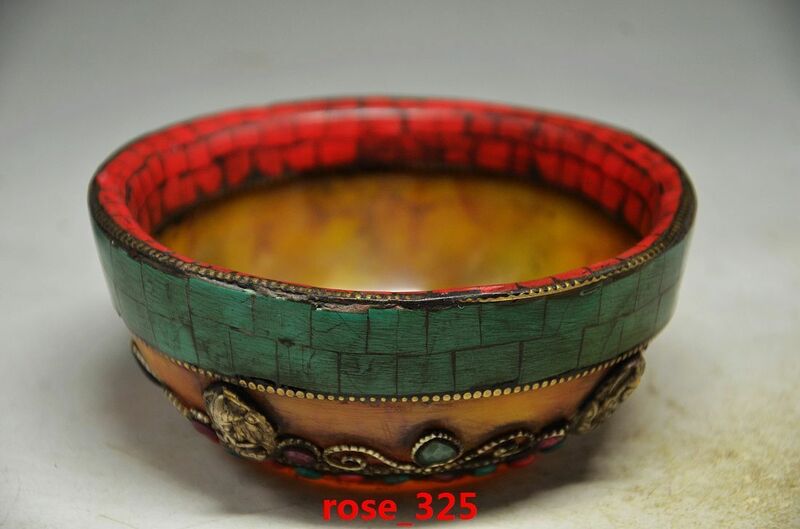 The bowl is made amber with turquoise, coral and Tibetan silver inlay with repousse Buddhas. Stupas are monuments that Tibetan Buddhists create that contain relics. 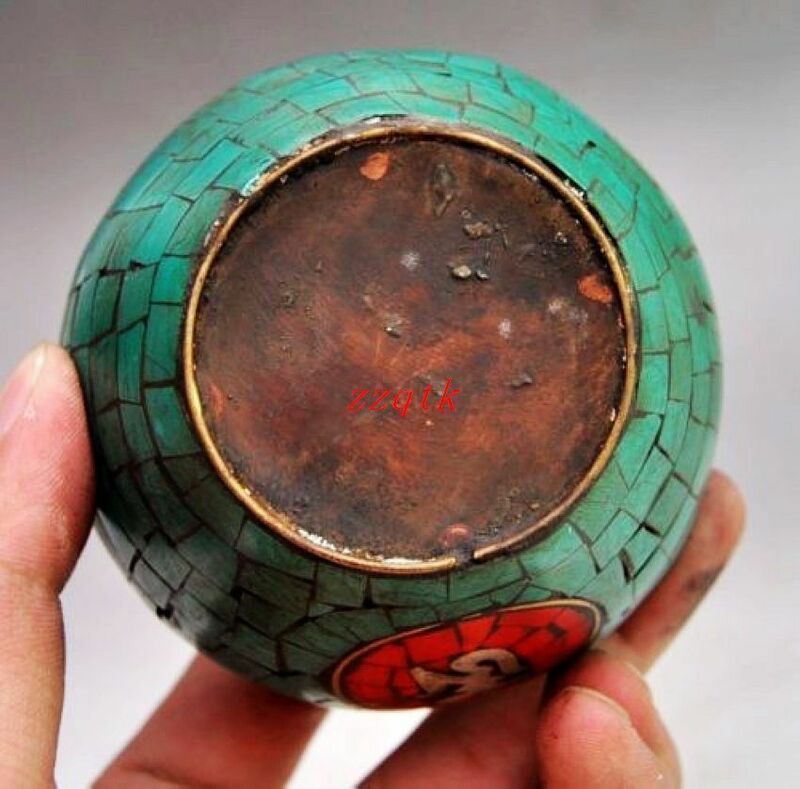 Mainly they contain clay tsa tsas, and written mantras, but also some jewelry, and other items that are mainly symbolic that are associated with Buddha himself and other important monks to add energy and power to the monuments. 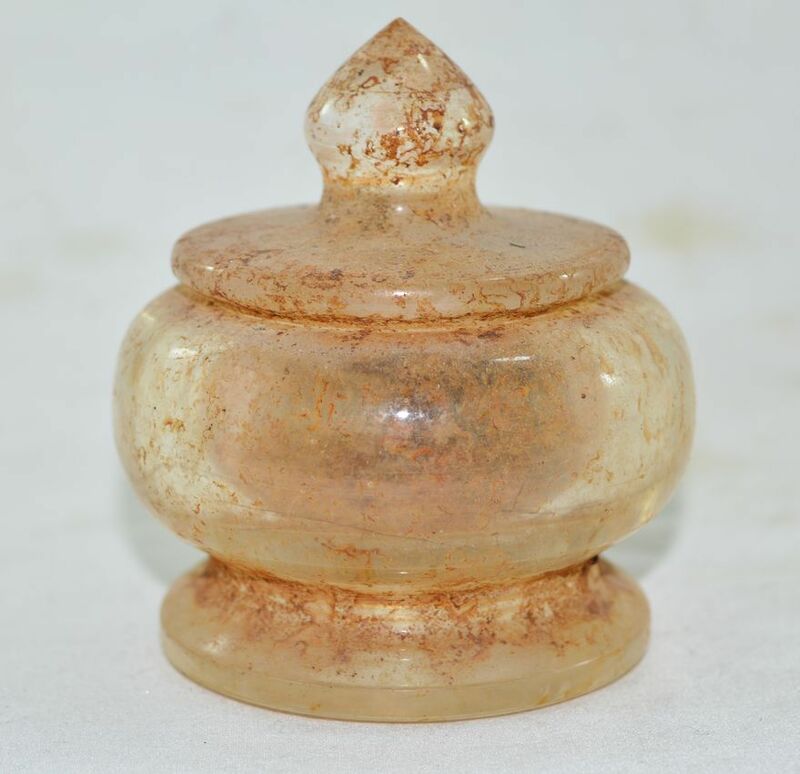 Containers used to contain these small bits of particles and energy were very important, and one of the most sacred and precious materials as well as durable known to Tibetans throughout the ages is quartz crystal. 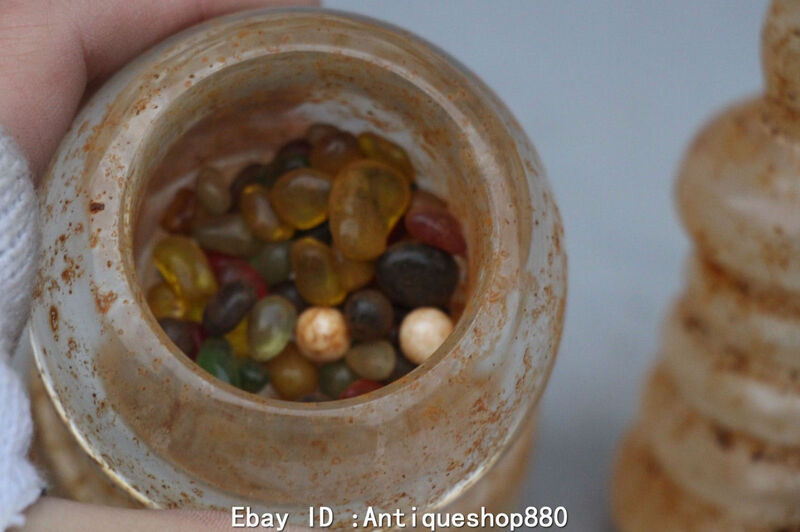 Just one of these crystal relic containers (which may contain stones that Buddha himself walked upon) would never be sold by monks, let alone the numbers that have appeared on Ebay. For every one of these containers there is an equal number of stupa’s which have been looted and destroyed in the process. The golden Buddha on this reliquary is painted, but carved from quartz crystal. Though the majority of Tibetans have a sky burial, in which vultures eat the corpse, but of the very highest of honors is a stupa burial in which a monk’s body is interred into the stupa itself. This would be the type of burial the Dalai Lama will receive. 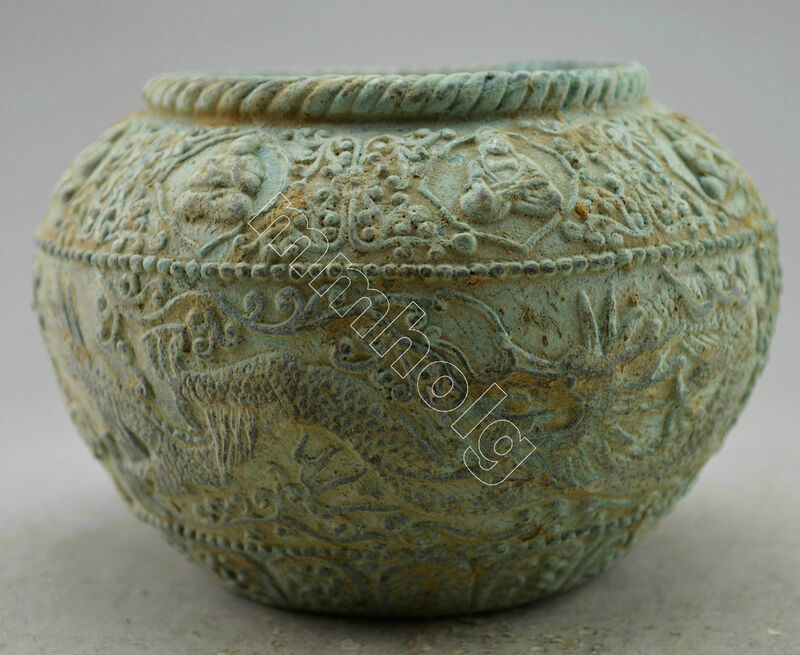 Of the next highest funeral honor is to be cremated- and the ashes are mixed into the clay tsa tsas that will be placed in the stupa. 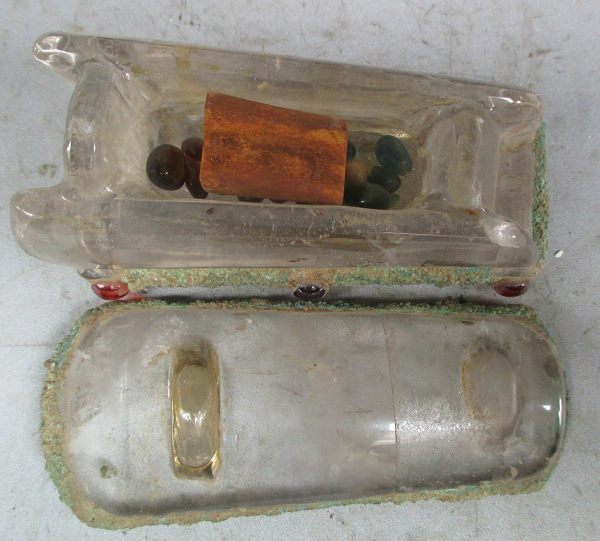 Anything that doesn’t actually turn into ashes is considered a holy relic within itself- and these pieces and particles are perhaps part of what goes into containers such as this. It also appears that the pieces of bone in some of the containers is purposefully cut, and may have been parts set aside before cremation. 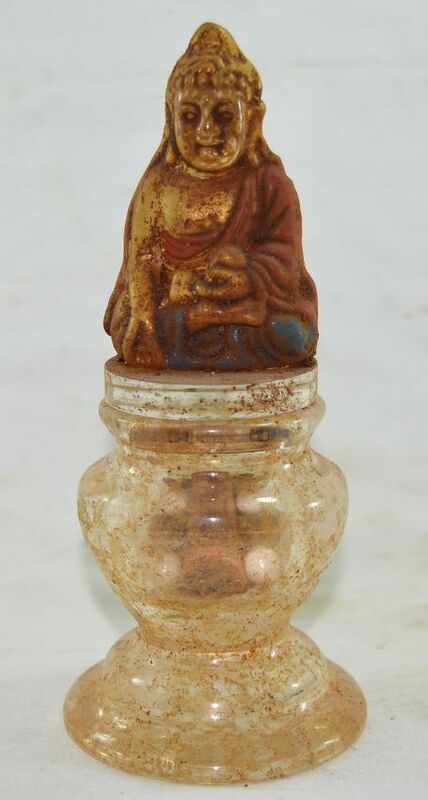 Very real pieces of humans- an important monk or Tibetan aristocrat- are sold with the crystal containers on Ebay with anyone blinking an eye or a question being asked. But people really do deserve a little more than this, don’t you think? 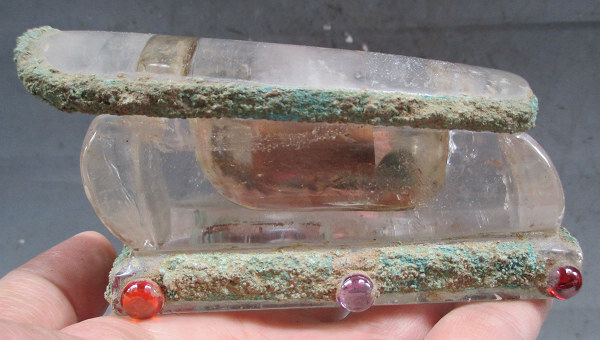 The shape of the crystal container below leaves little doubt as to what its purpose was and where it was found- in the shape of classic Chinese casket. There is increasing evidence that indicates that the Tibetan people were once part of the Hongshan people who lived in central and northern China, and may be the very first to start any kind of “civilization” in China. 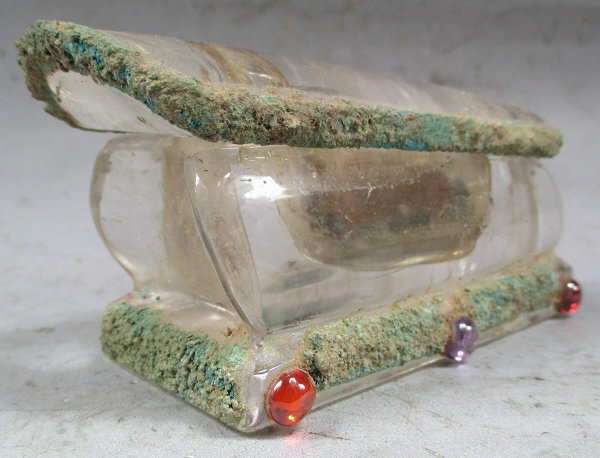 The crystal reliquary below is made from smelted quartz (melted) that has been dyed a pink color. 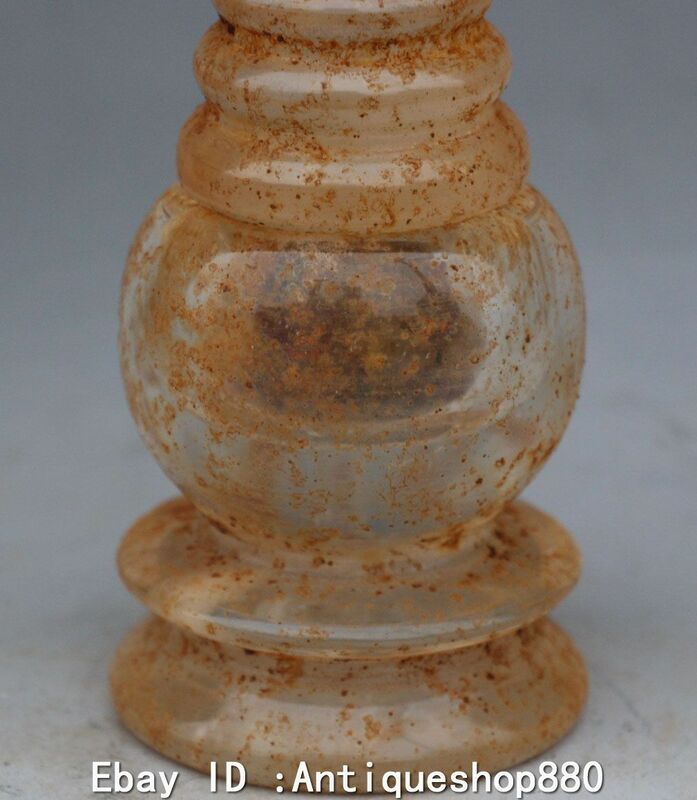 This technique was perfected by the Hongshan Culture, and is still used today to manufacture what is called “cherry quartz”- most often for beads or pendants. The newer pink smelt tends to have less pink coloring, and it is more uneven, and often has a brownish-yellow material in the mixture too. Though the beads above are used, holes chipped and with scratches and other signs of wear, but it really impossible to say how old they truly are since crystal doesn’t age very much over 1,000’s of years. Still they they are being sold as “new without tags”- wholesaled by the millions by Chinese, not Tibetan sellers. Some re-sellers of used goods are also posing as American shops and are located in America, but apparently pay absolutely no taxes since they are not registered as a business, and therefore you cannot report them to the Better Business Bureau. 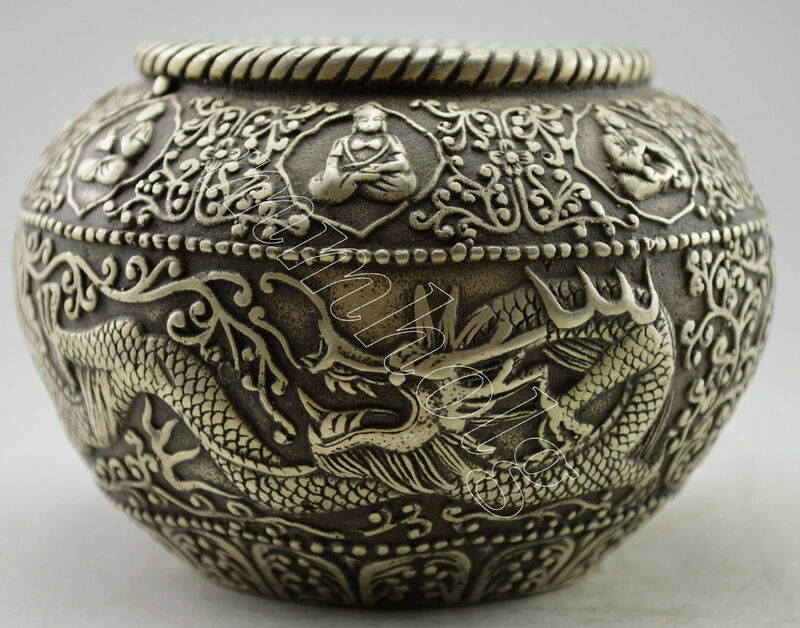 Eight different Buddhas sit along the edge of this vessel wreathed in dragons and flame. 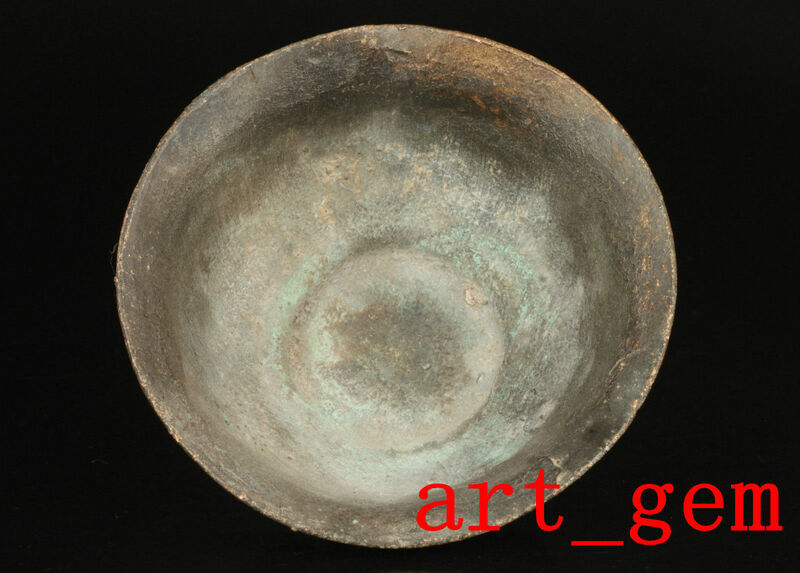 Below is the same eight Buddha bowl as above, but one that was much more exposed to the elements and corrosion- like from a tomb or stupa. 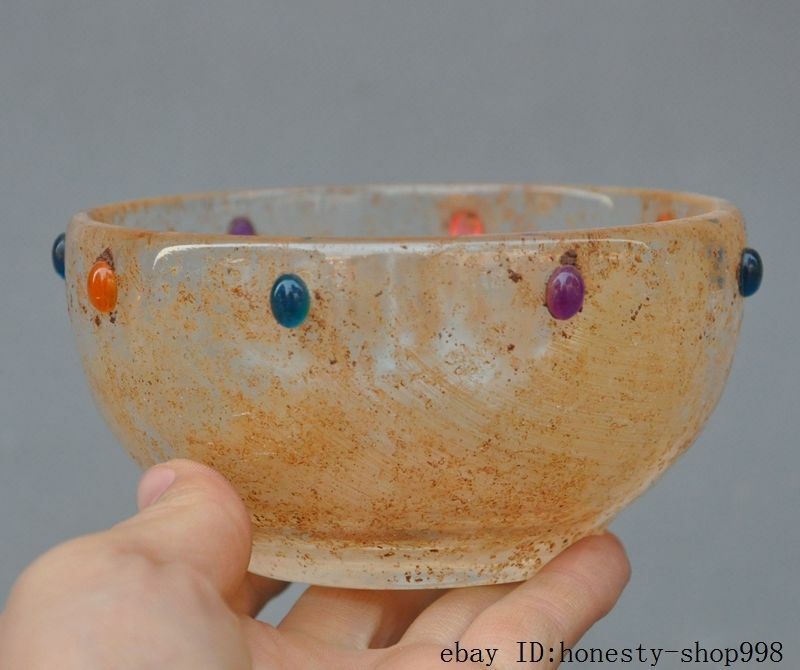 Very similar bowls lined up in glass cases front of shrines at the Tibetan Buddhist Palyul Temple in Tuting, India. 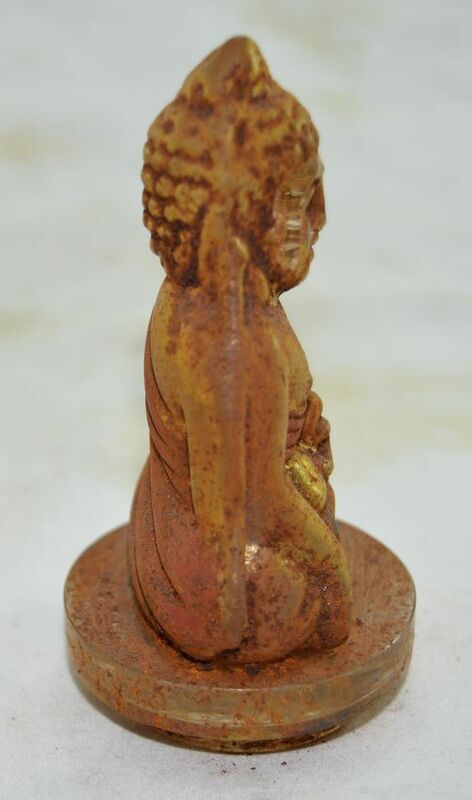 These weren’t something that people had in their homes but were probably taken directly from desecrated Buddhist monasteries (and possibly stupas) in Tibet and China. 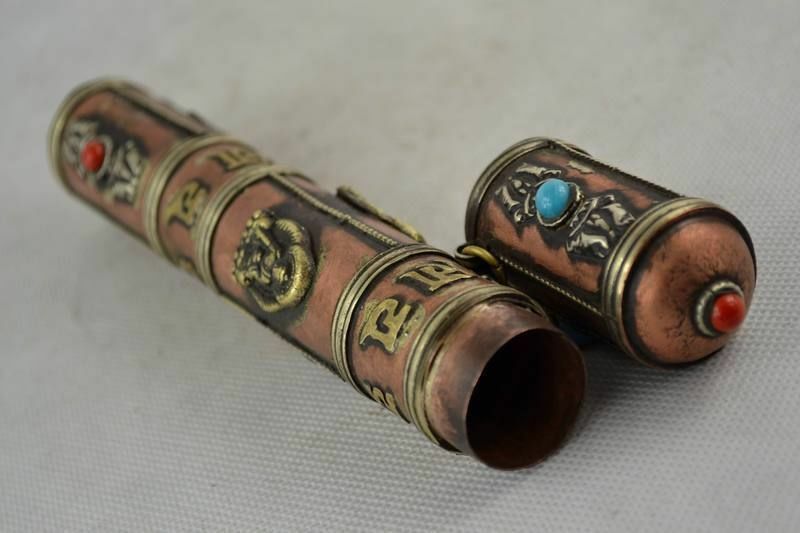 These long incense burners with the 8 auspicious Buddhist symbols on them must have been tremendously popular with the monks and Tibetans given the vast numbers now for sale. Every single model ever produced- particularly for common people- is now for sale on Ebay and probably at least 80% of the numbers ever made of some models. Quite an unusual situation in which many of these things would have never been put up for sale, but since the Communist robbed every single Tibetan family and house as well as other minorities and their own people, it all is for sale at artificially low prices. 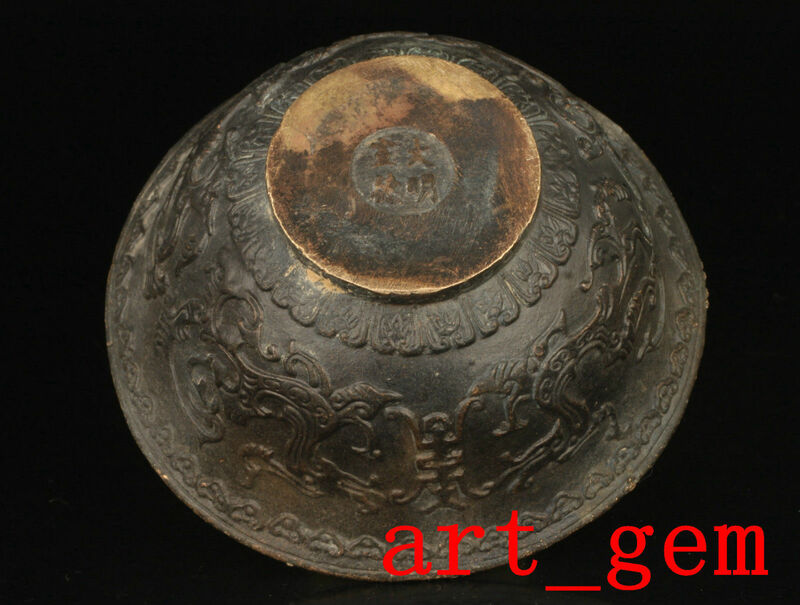 On the top of these incense burners is a wheel and two deer, auspicious symbols in Buddhism. The wheel is the dharma wheel, representative of Buddha’s teachings of which deer were the very first to hear after Buddha’s enlightenment. The sermon is said to have been given to five mendicants in Sarnath, a deer park in what is now Uttar Pradesh, India, and while he spoke the deer gathered round. The deer depicted by the dharma wheel remind us that the Buddha taught to save all beings, not just humans. So important is this symbol it is also the centerpiece of Jokhang Temple’s entrance. Interestingly, some of these incense burners don’t have a wheel with spokes on its side, but an upright wheel (or two or three) that is on an upright post/axle. 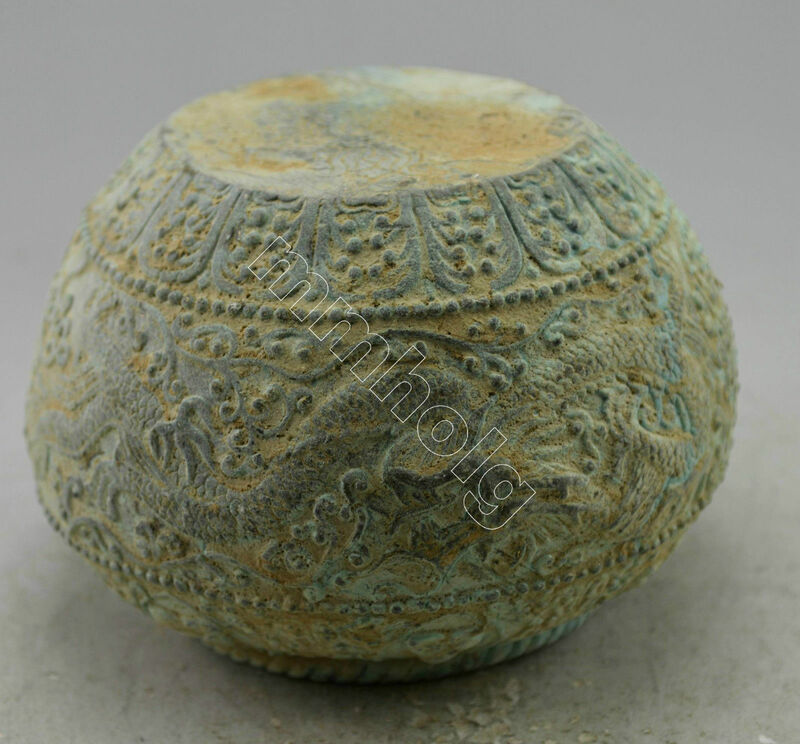 It is unknown what the original use of a jade bi (Chinese stone disc) is, but some references to it show them in a similar fashion on an upright axle. Millstones for grinding are also oriented this way. See this auction: sold 1/1/2016 for $6.15 by rose_325– no longer a registered user by 08/2016, apparently took people’s money and ran in the end with 139 negative feedbacks (all of people they took the money of and never delivered product), though had been a fairly “honest” seller on Ebay since 2013. These elaborately decorated elongate boxes could have been used to store religious scrolls or other religious items, but also could be used to store images of deities woven of silk called thangkas when not in use. Please see The Hall of the Enslaved Idols for examples of thangkas. I’m glad I ran across your sight. I saw the link in a post you made on eBay. Your theory actually makes a lot of sense. I’m sickened thinking about this. 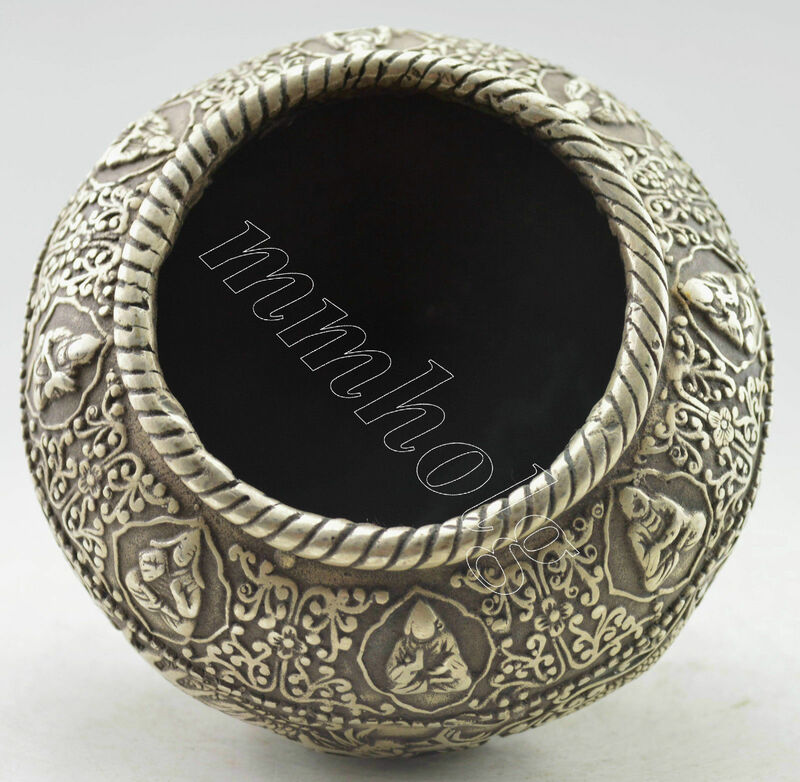 Personally, I purchase my Buddhist items directly from the Kopan Monastery, located in Kathmandu, Nepal ( http://www.monasteryshop.org ). The prices are higher than eBay and so is the shipping (which can take several weeks), but I feel much better about it and have never received anything from them that appears anything less then brand new. I also include a donation to them with my purchase, to support their Sangha. I hope you have not found any reason to be suspicious of a source such as this. 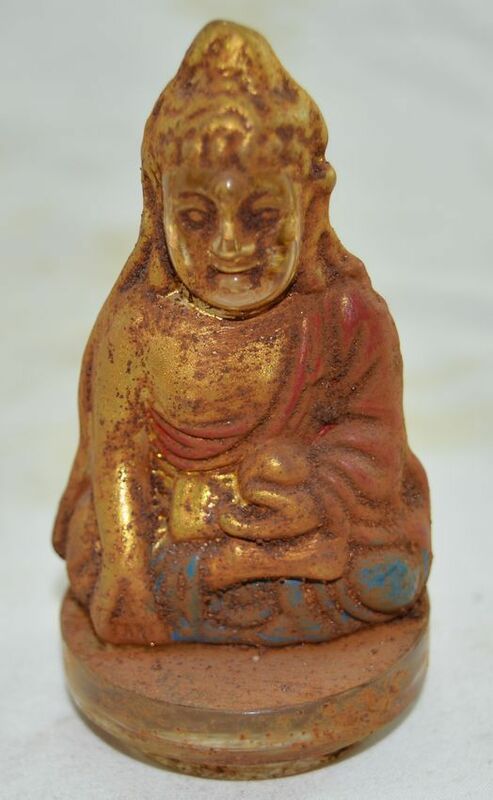 Do you have any recommendations regarding where to purchase legitimate, new Buddhist items, or even valid antique ones? Thank you, and keep up your work and investigating. Thanks for your comment. I’m not too sure there is are many legitimate sources at this point, though I do like your link to help Kopan Monestary, and don’t see any highly suspect items there. The problem is that Tibet, besides having a million people die when first taken over, has been under complete lock down since 2008, but all of its goods have been getting out (on the train?). If you have a million people’s things with another million people’s things flooding the markets, there is hardly a nook or cranny where all that blood doesn’t reach. Even Nepal sometimes is questionable, the Chinese were delivering weapons to communist rebels on donkeys not too long ago, so I’d imagine putting a couple pack trains over the border with stuff to sell wouldn’t be that difficult, and maybe easier than paying in cash (for bribery). 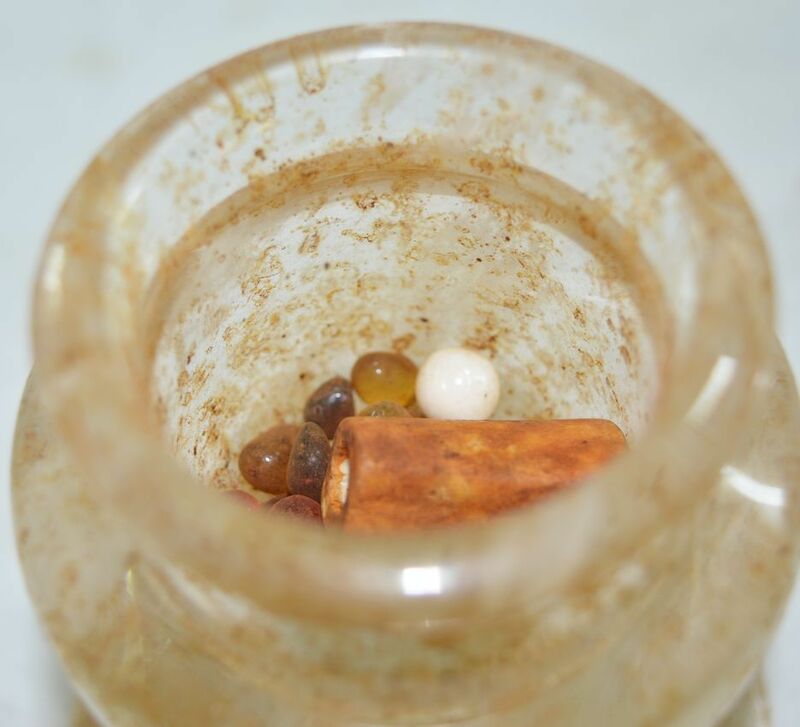 Even Rudraksha beads from India are highly questionable- and I’ve found sellers of used Tibetan/Chinese goods all over the world from Colorado to Indonesia. Sad part is that legitimate businesses are being driven out of Ebay and also the world markets by those who take advantage of others like this. Another good indication of legitimacy is price, though this isn’t always the case and I’ve seen boutique shops full of questionable goods with reasonably high prices. I am very grateful for your awareness, first off! I value my being as a spiritual Warrior who is perfectly imperfect at this very exact moment. My hubby and I with our whole selves believe there is a battle between “good and evil”…………We are studying demonology,evil spirits through all religions beliefs non religion etc. I thought wouldn’t it be great to start a sacred spiritual toolbox of sorts. Of course EBay came up first. After seeing these tools I researched them simply by Google search. In doing so I realized whoa these are really pricy to buy outright! We don’t have a lot at this moment to do that. I literally just made an account for eBay 3 weeks ago. Anyway I came across your article honestly I really didn’t take it to heart. I carried on bidding for these sacred tools in every strategic way I could or we could. Never won. I am extremely aware intuitive but if I am obsessing it is there but I’m not listening type of thing. Finally your article kept replaying and that voice got louder and louder till finally I was up at 2 am just F***ing so enraged with the manipulation of these people to make a dollar. You are exactly right. 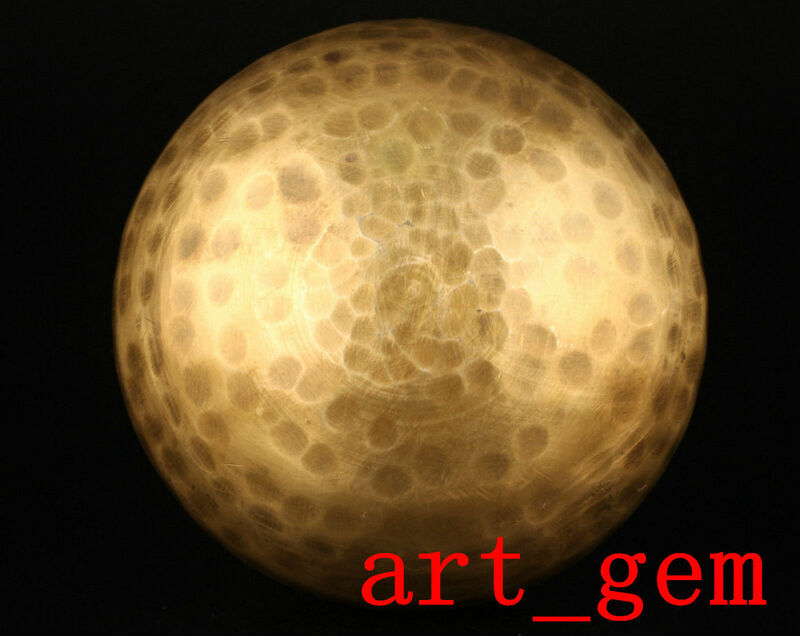 Every beautiful divine sacred tool I bid on the bidders never had a name( idk if you can set ur profile to private but for every single one?) sometimes it would say 5 bids and no bidders( glich in the system maybe but how come it never did it for the jewelry or crystals…..) how come one statue gets sold at 8.06 (if it really is being sold) and the same kind I put 50 bucks on and it jumps to 51 bucks but there’s 36 others of the same one with zero bids….coincidences or not I am not falling into this deception and I honestly don’t know how they could ever be truly happy. Yes I do feel for others living in horrible conditions and may not have proper resources I do I am just really angry right now. I do feel heartache for all those pieces. Like you said all the healing and peace of mind and spirituality all that beautiful energy and I’m sure whoever they belonged to loved and valued them. 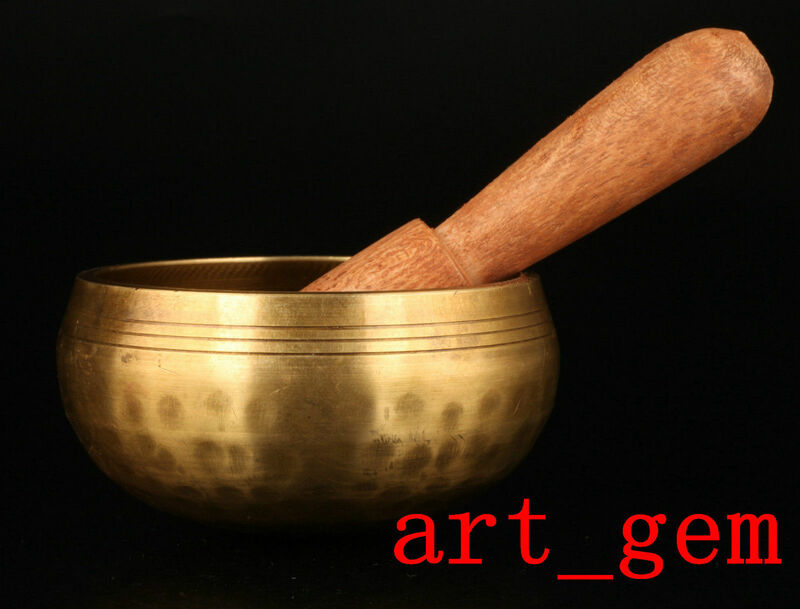 My intention was to fill up a spiritual arsenal of all sorts to hopefully bring healing to others. And WOW! I love realness, honesty, truth and genuine people! Thank you for sharing this. Seriously!